This is an uncommon migrant. It measures 189 mm (7 1/2"). They are usually found in flocks in open and cultivated areas. 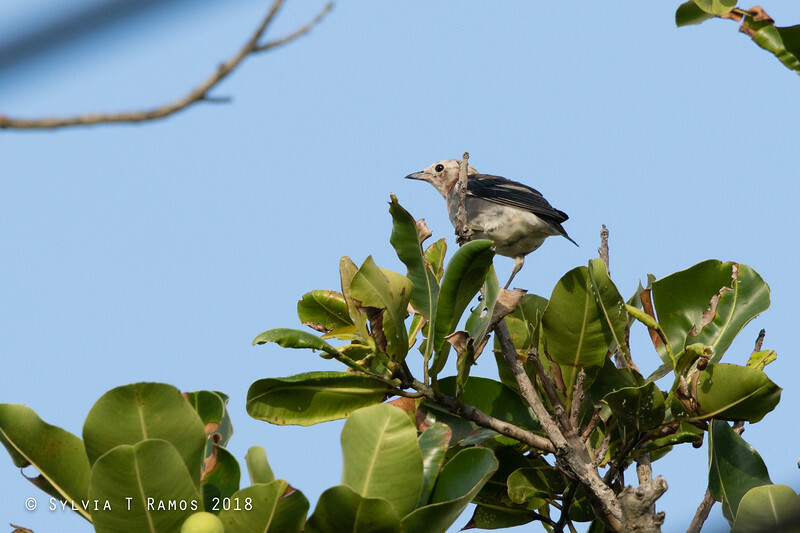 We saw two individuals in Batanes that were mixed in with a flock of White-shouldered Starlings. They would fly into a tree with the White-shouldered Starlings. Then, when the White-shouldered Starlings would fly off, they would stay behind, quietly moving among the branches. In April 2012, we saw flocks of Chestnut-cheeked Starlings in Canlubang. The first flock had about 50+ birds, the second flock had 30+ birds. The bill of the female is black on top and whitish at the base of the lower mandible.